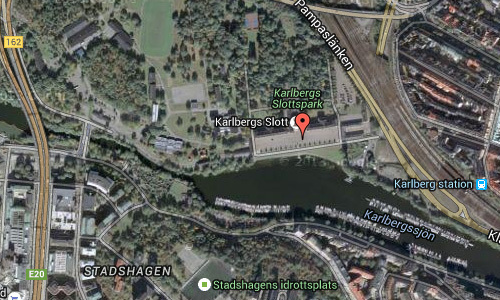 Karlbergs slott or Karlberg Palace is a palace by the Karlberg Canal on the border of Stockholm in Solna. The palace, built in 1630 and the oldest in Solna municipality, today houses the Military Academy Karlberg. Notwithstanding the palace remains a military institution, the park is accessible to the public and is open 06-22 daily. The park, dating back to the 17th century, has suffered gradual encroachment. During the 1860s, the north-eastern corner was cut off by the railway, and a century later Essingeleden and other motorways had their shares. The exterior of the palace was however restored in the 1980s. Furthermore, in 2001 an archaeological examination of a nearby burial site, associated with one of the villages out of which Karlberg once was created, unveiled fragments of runestones — including one from an image stone and another featuring the proto-Norse Elder Futhark. 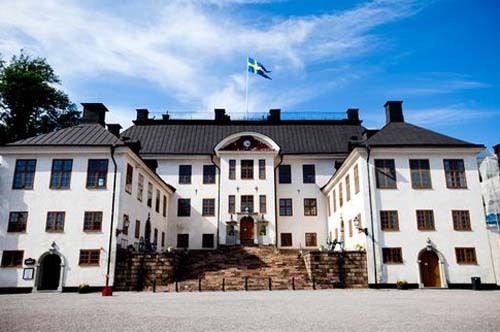 Karlberg Palace is owned by the government of Sweden, and is managed by the Swedish Fortifications Agency. Gustaf Nordbergs Vagnfabrik AB of Sweden from Stockholm, built a number of special custom Volvos using various different chassis designs. On occasion the Nordbergs body would be completely different, but in the case of this PV51, only minor changes were made. The first of which was that the roof was removed to make yet another Volvo convertible. 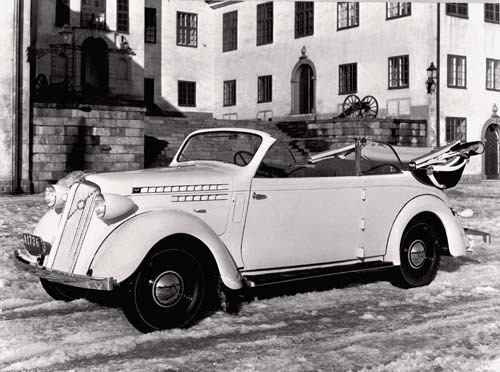 These custom PV51 convertibles were built in 1937, and added to the Nordbergs’ already high esteem in the coach-building industry. 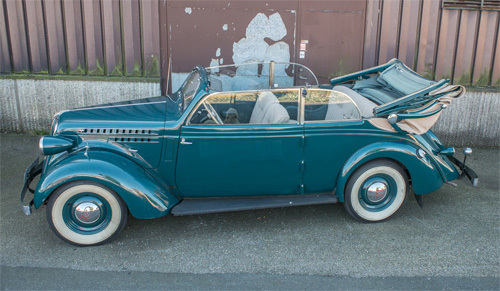 The cars were of exceptional quality, and Nordbergs went on to create custom open-top’s of the PV61 and PV445 as well. 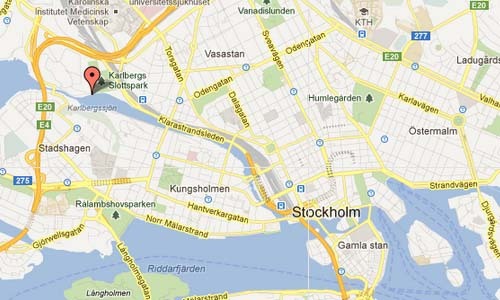 More information on sv.wikipedia.org, www.slottsguiden.info website.